Solar panels at the University of Illinois campus in Champaign. Solar developers in Illinois that have banked their businesses in part on state incentivized energy credits are tentatively optimistic about a new draft power plan released by the Illinois Power Agency — even as the companies acknowledge the credit pricing remains obtuse. “The IPA did yeoman’s work getting this together,” said Sarah Wochos, the policy and business development director for the Midwest arm of Borrego Solar, a company based on the coasts that is now pushing into Illinois. At the end of September, the IPA released its draft outline of how it will pay for renewable energy production in Illinois and outlined its new program. It’s an initial step in the state fulfilling the lofty intentions of the Future Energy Jobs Act. The details of the new block program have been anticipated by solar developers—especially those, like Borrego, that moved into the Illinois market after the passage of the landmark energy bill late last year. While Wochos says the outline is a good first step, she expects that the renewable energy credit (REC) prices will likely go higher than what is detailed in the plan. One issue, she says, is the value of the net metering credit derived from a community solar project. According to her review, the IPA model that was used to calculate the potential energy tariffs for different service territories double counted the energy credit in some places, or assumed a credit where there won’t be one. “There are some assumptions that were made [in the IPA plan] that we think are probably incorrect that will affect the prices,” Wochos says. 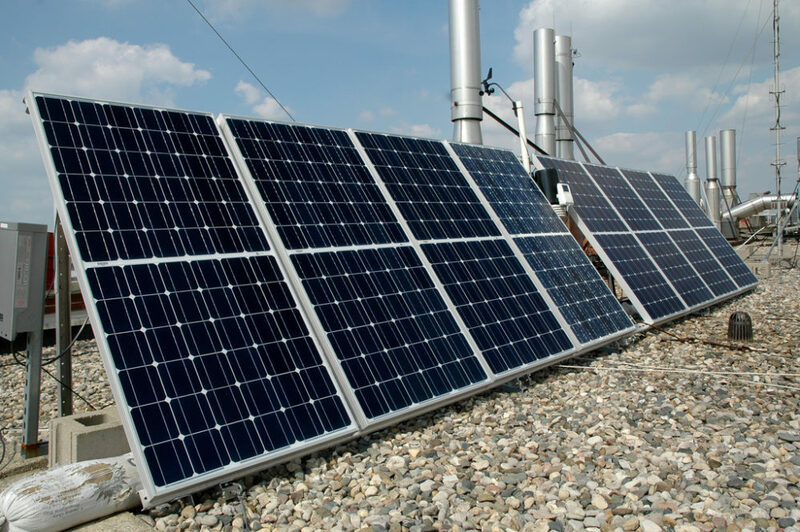 While Illinois is managing utility-scale solar through procurements as it has in the past, the state is incentivizing distributed and community solar through energy credits. Nexamp, a Massachusetts-based solar energy company, also began looking at Illinois after the passage of the Future Energy Jobs Act last year, according Benjamin Downing, Vice President of new market development. The state’s goal of developing 400 MW of community solar as part of the development of 2,700 MW of solar by 2030 was particularly appealing to the company. Half of Nexamp’s 100 MW of production derives from community solar. Still, he said that it is not yet crystal clear exactly how competitive the RECs will be, and said that net metering in Illinois is complicated. The IPA plan includes example energy credit prices, but they vary depending on the size of the development, where it is located, and whether it is distributive, community solar, or – in some instances — covered under the Illinois Solar for all Program. Overall, Downing agrees that the power agency is moving along the right track. “I think the comment process and the ongoing stakeholder discussion are going to be really important,” he said. Jessica Collingsworth, an energy analyst for Union of Concerned Scientists, said that the power agency is trying to make the process competitive so that developers will want to bid out for contracts. She praised the agency for an inclusive process and for hearing comments from community organizations and advocates. “The very important piece is to try to connect developers and community folks to ensure that more solar is being developed,” she said. “These are really big targets. 3,000 MW of solar is a ton of solar,” she said.